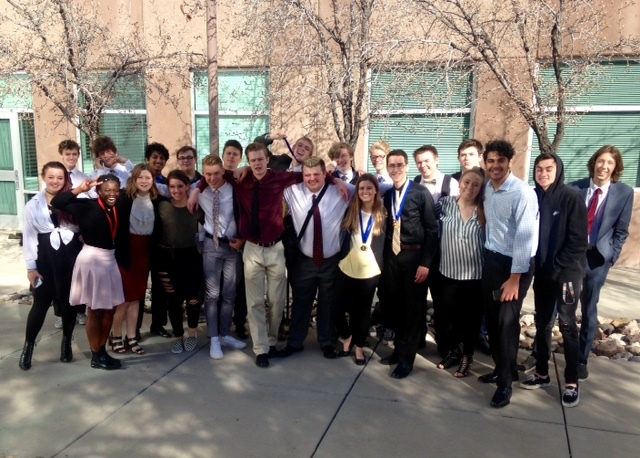 ST. GEORGE — Hurricane emerged as the overall winner in the closely contested Region 9 debate championships held Friday and Saturday at Dixie High School. After three rounds of speech competitions staged Friday night, students competed in up to five rounds of debate on Saturday. “The team competition was the closest that I’ve ever seen, with a mere 10 sweepstakes points separating first from fourth place,” Dixie head coach Dustin Drake told St. George News. They debated a wide range of issues during the competition. For example, the Lincoln-Douglas debate topic focused on whether the illegal use of drugs should be treated as a matter of public health, rather than a criminal justice issue. In public forum, students argued whether or not the United States should promote the development of market rate housing in urban neighborhoods. The policy debate topic was whether the U.S. government should substantially reduce restrictions on legal immigration. In another event, called Congress, students were provided 15-20 sample bills for possible implementation through a government. The students use parliamentary procedure to decide which bills to debate. After debating both sides of the bill, the body can vote for passage or rejection of the bill. As an example, one of the bills debated was one to federally mandate child vaccinations. In the individual speaking event, called original oratory, students write their own persuasive speech on any topic of their choice. In impromptu speaking, each competitor is given a random set of three widely varied topics, from which they have two minutes to prepare a five-minute speech. Finally, in the extemporaneous speaking categories, students are randomly assigned a current event topic, from which they have 30 minutes to write and memorize a seven-minute speech, using their own written sources. The students must have done all their research beforehand, as internet use isn’t allowed during the competition. At the end of the two-day event, Hurricane finished with 94 sweepstakes points, followed by runner-up Dixie, which finished with 90 points. For third place, Desert Hills scored 85 points, narrowly beating Snow Canyon, which had 84. 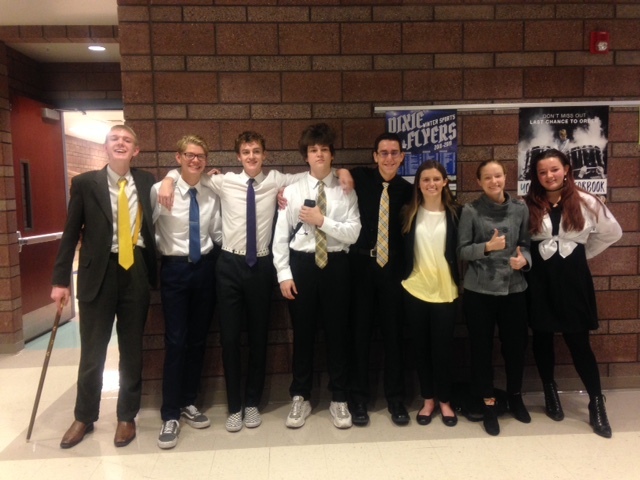 The top three teams from Region 9 – Hurricane, Dixie and Desert Hills – all qualified to take their entire teams to compete in the state 4A tournament, which is scheduled for March 8-9 at Ben Lomond High School in Ogden. 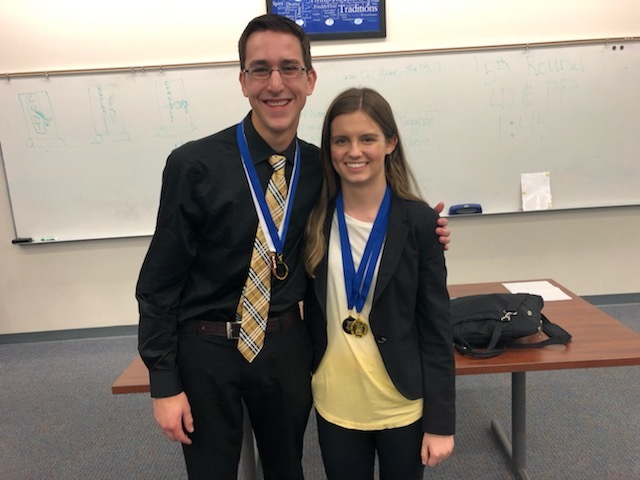 Additionally, multiple competitors from Snow Canyon and Cedar high schools also qualified to compete at state as individuals, by placing among the top 10 in their events. Samuel Porter and Dallin Bundy, Dixie. Maisey Peterson and Caleb Gill, Hurricane. Karrah Spendlove and Audrey Spendlove, Snow Canyon. Annie Smith and Seth Durrant, Desert Hills. Silver Beatty and Samuel Raddatz, Hurricane. Yash Vyas and Brody Roberts, Dixie.